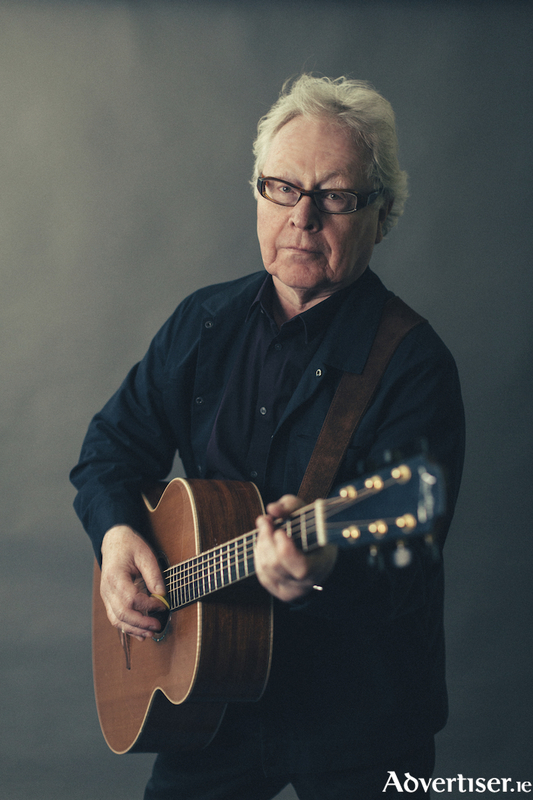 Paul Brady, singer, songwriter, multi-instrumentalist and one of Ireland’s most enduring and popular artists, makes a long awaited return to Castlebar when he appears in concert at The Royal Theatre on Saturday October 27. Raised in Strabane, Northern Ireland, Brady's early musical influences include jazz, swing, show tunes, 50’s Rock ‘n Roll, 60’s pop and Motown, Blues, R’nB and Country and Western, all mixed with the potent flavour of Irish traditional music and song. Brady moved to Dublin for college in the mid sixties and began to develop as a singer and performer, joining a succession of R’n B / Soul bands, including The Inmates, The Kult, Rootzgroop and Rockhouse covering the songs of Ray Charles, James Brown, Junior Walker, Ike and Tina Turner and blues legends such as Muddy Waters, Howlin’ Wolf and Chuck Berry. The 60’s in Dublin saw the renewal of interest in Irish traditional music and gave birth to the first wave of Irish ballad groups including The Clancy Brothers, The Dubliners, Sweeney’s Men and The Johnstons. Soon Brady became swept up in the scene and joined The Johnstons, with whom he recorded seven albums. Moving with The Johnstons in Jan ’69 to live in London and later in ’72 to New York City, Brady returned to Dublin in 1974 to join Planxty, the premier Irish folk band of the early ’70’s. This was the band that was to launch the solo careers of Andy Irvine, Liam O‘ Flynn, Donal Lunny and Christy Moore. From ’76 to ’78 he played as a duo with Andy Irvine, a relationship that produced “Andy Irvine and Paul Brady”, an album loved at the time and still sought after in CD form today. Having established his popularity and reputation as one of Ireland’s best interpreters of traditional songs, Brady's versions of great ballads like "Arthur McBride" and "The Lakes Of Pontchartrain" were definitive and are still being asked for by audiences today. After an acclaimed solo folk album “Welcome Here Kind Stranger” (1978 ) which won the Melody maker Folk Album of the year, Brady made yet another new move, to the surprise of some, when he released “Hard Station” in 1981. Self-penned, the album lyrically reflected personal changes and musically, was a highly original reworking of his earlier influences. Irish folk music took a back seat and he enjoyed praise for what is now accepted as a classic of Irish rock. The albums which followed, “True For You” (1983 ), “Back To The Centre” (1985 ), Primitive Dance (1987 ), “Trick Or Treat” (1991 ) and “Spirits Colliding” (1995 ) collectively established Brady as the preeminent Irish singer-songwriter of his generation. His songs have been recorded by a host of international stars including Tina Turner, Art Garfunkel, Eric Clapton and Bonnie Raitt. In 2001, Brady undertook a record-breaking, celebrated run at Dublin’s premier music venue, Vicar Street, playing 23 sold-out shows and featured in an acclaimed six program national TV series called “The Paul Brady Songbook“. There followed a CD of a selection of the recordings and a DVD of the entire series, both also called ”The Paul Brady Songbook”. Touring extensively both as a solo performer and with his own band, he has forged a reputation as a passionate and exciting performer and attracts a dedicated following worldwide.